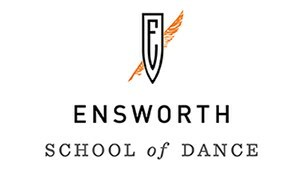 Welcome to Ensworth School of Dance! Please complete the following registration form to register for your classes. Children at programs offered by The Ensworth School will participate in a variety of activities while at the program. These activities will vary depending on the specific program your child attends but may include activities such as swimming. In addition to onsite activities, your child may take field trips, involving transportation on school vehicles and, in some instances, overnight stays. These field trips to selected places are designed to broaden their experiences and contribute to their total program experience. Transportation will be provided on these field trips, and it is the policy of the program that all children will be in age-appropriate child-restraint systems (seat belts, etc.). I am the parent and/or legal guardian and understand that there are inherent risks of personal injury and/or property damage associated with my child's participation in the activities and potential field trips that are part of the program or programs in which my child is enrolled. I understand that these inherent risks cannot be eliminated completely by careful planning. Notwithstanding the inherent risks, I consent to my child's full and unrestricted participation in the program activities and field trips. I understand and agree that the school accepts no responsibility for my child's acts or the acts of others while he or she participates in program activities or travels in connection with potential field trips. In consideration of The Ensworth School offering these opportunities and allowing my child to participate, I hereby voluntarily release, relieve, discharge and hold harmless The Ensworth School and its officers, administrators, employees and representatives from any and all liability or claim of liability, whether for personal injury, property damage or otherwise, arising out of or in connection with my child's participation in these program activities and field trips. If my child should suffer an injury or illness while participating in a program activity or while on a field trip, I authorize The Ensworth School and its representative(s) to use their discretion to transport or to have my child transported to a medical facility and I take responsibility for that action. Further, I authorize The Ensworth School and its representative(s) to consent to necessary medical treatment for the benefit of my child, in the event the need for medical attention arises. By signing below, I acknowledge that I have read and understand the above consent and release of liability. Tuition is based on a total amount, which has been divided into 10 equal payments from August through May. Payments will be posted to your account on the 1st of each month through May. If registering after August 1st, the first month's tuition will be charged upon registration. Credit cards payments process on the 15th of each month. No tuition will be refunded after October 1st for the first semester or March 1st for the second semester. You will be notified via email if your payment is declined or your card needs to be updated. After that time, any unpaid balances will be turned over to the business office at the end of the month. To ensure the safety and supervision of our students, they must be picked up on time at the end of class. A $10 late fee will be charged to parents who pick up their child after their class time has ended, unless prior arrangements have been confirmed with the instructor. Students are expected to wear the appropriate class attire to class each week. Should a student not have their proper dancewear or shoes, they may be asked to sit for that class. Hair must be neatly pulled back and secured for all classes. With most classes being right after school, it is suggested that students wear their hair back on their dance days. No gum, food or drinks are permitted in the dance studio. Closed containers of water are allowed and encouraged. Respect for the instructor and fellow dancers is expected at all times. The same conduct and focus that is required in the classroom should be applied in the dance studio. Jewelry should be removed for dance class (or left home). Please notify Rachel Tolbert via e-mail at tolbertr@ ensworth.com, should your child be absent for any reason. No tuition will be refunded for classes missed. Students may make up the class on another day in the class that is closest to their level. Excessive absences (more than 3 per semester) may affect a student's eligibility to participate in the recital. Decisions regarding recital eligibility will be made at the discretion of the instructor. Class placement is made on an individual basis and at the teacher's discretion. Grade level, prior dance training, technical profiency, maturity, work ethic, and focus are all factors that are considered with regard to class placement. Please understand that we value the importance of personalized dance education and are happy to discuss your child's placement, should you have any questions or concerns. The recital will held at the high school campus on Friday, April 12 and Saturday, April 13. The days preceding the concert (April 8-April 11) will include technical and dress rehearsals for the students to prepare and practice onstage (official schedule TBA.) Please mark your calendars and plan accordingly. Specific costume fee information to come, but it can be estimated at $65 per costume and will be due in October. Classes that require a costume will be added to your account per class at an estimated $65 per class. Transportation will be provided immediately after school for students who take the 4:00 class at the HS on Mondays and Thursdays. Students in classes starting after that time will need to provide own transportation.